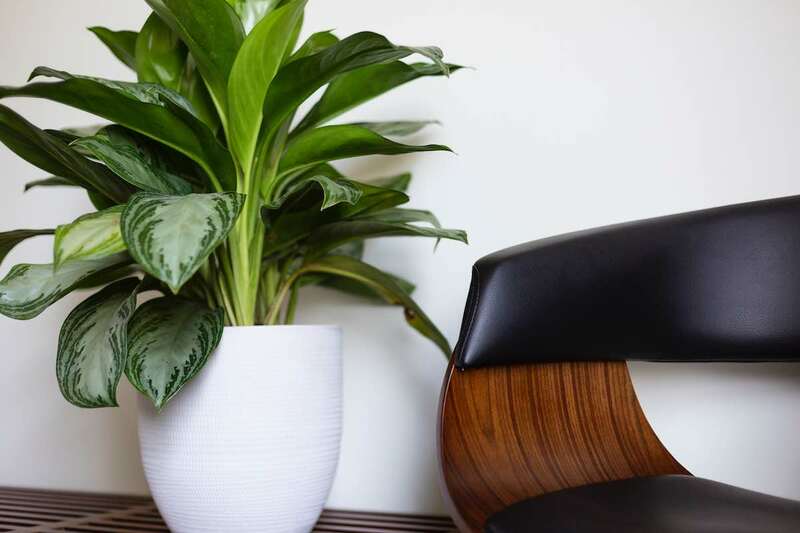 There are several benefits of having plants in your homes but let’s explore some of the most important ones. Also included in this post, are tips about how to add plants into modern interior design. Plants help reduce stress and anxiety: They can also help you lower your blood pressure, feel calmer and self-aligned. They can help you sleep better: some plants give off oxygen at night allowing you to have a better night of sleep. 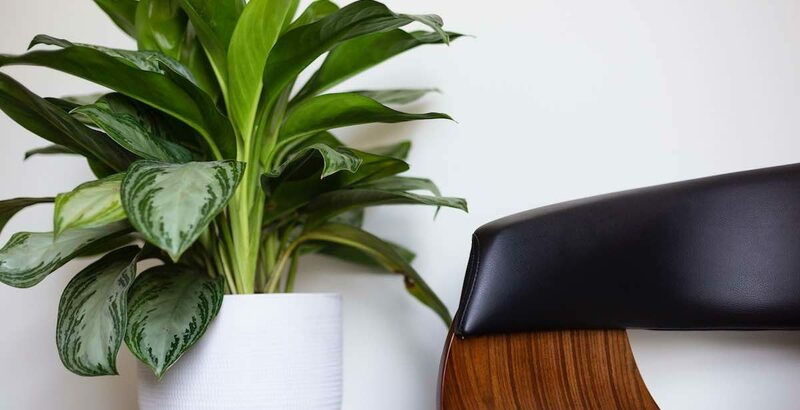 Plants can increase productivity: Plants help you stay more focused, improve your creativity, memory and mood. Plants help fight colds and allergies: Plants increase humidity and decrease dust in the environment helping to fight colds. For allergies, you need to care for your plants if you want them to help you. Clean them regularly to avoid dust accumulation. Best plants for allergies are: Lilies, Mums, Golden pothos, Gerbera, Bamboo palm, Arena pal. Who knew a few plants could add these benefits? We all know it’s hard to remember to water these little guys but three words: So. Worth. It. The first step of adding plants in your designs, is analyzing the space and understanding the strongest and weakest points of a room. Observe what part of the space can be brightened up and where you can add more static pieces. Walk around the room and look at the space from different perspectives, this will help you choose the best spot to make your statement. Then, you can start thinking what plant would look better in the interior you are designing. At this point, it is really important to include your client in the decision-making process and give them some options to choose from. You already know this but just a reminder. Don’t clutter your space, keep an open plan giving the design enough space to breathe and flow. Large plants make a statement in a room. They are perfect for minimalistic interiors where you want to emphasize certain part of the design but don’t want to overcrowd the room. It is really important to carefully choose a pot that goes with your design, this will make a big difference and create the look and feel you desire. Small plants look beautiful in interiors. Due to their versatility and low maintenance they are perfect for basically any space in the house. The most common small plants are: cactus, air plants, Aloe, English ivy and Philodendron (word of caution: leaves are poisonous if they are eaten so take care if you have little ones or pets). We hope you enjoy your plant shopping! Let us know which ones you have decided to add into your next project, we would be delighted to hear from you.